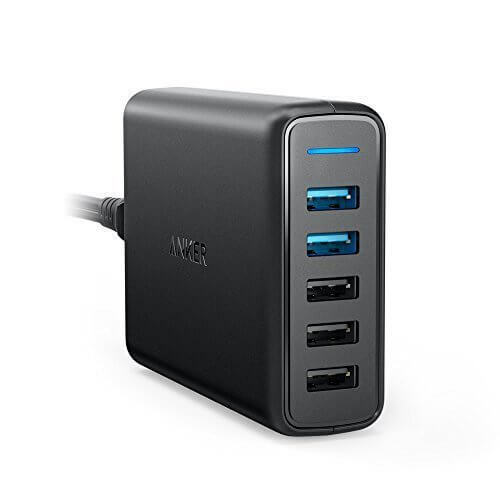 Today’s Deal is on the Anker 5-Port USB Wall Charger. This 63W unit has two ports that support Quick Charge 3.0 technology for rapid charging of compatible devices. Today you can pick it up for $35.99, a saving of 60% off the regular $90 price. Anker is one of the long time manufacture of accessories for Android and iOS and I never hesitate in recommending their products. This particular accessory I have (albeit the Quick Charge 2.0 model from last year) and it is rock solid and used every day for the myriad of devices I have plugged into it at any given point in time.